A new trailer for the upcoming game Wolfenstein: The New Order has been published ahead of E3. The video trailer shows us both a “what if” alternate history, following a Nazi victory in WWI and a glimpse of the game itself. For your convenience the two minute trailer is embedded below. 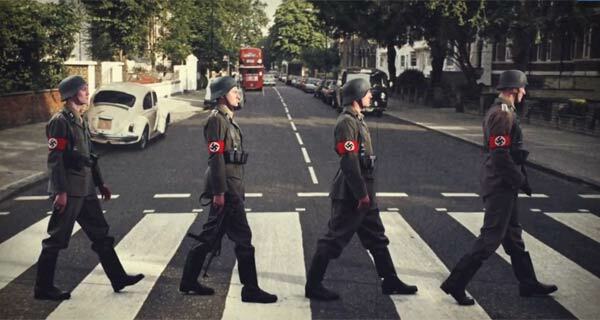 The trailer starts with a darkly humorous look at classic post war imagery altered by a Nazi victory. 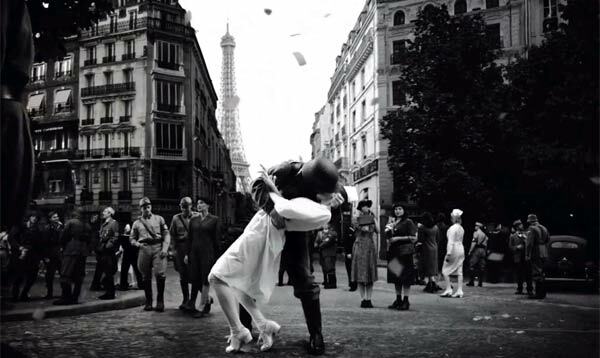 The iconic scene of the nurse and the sailor in Times Square on VJ day looks pretty different in the Wolfenstein: The New Order trailer and there are many more examples as the story is told by a voice over narrator. The trailer goes on to show laughing Nazis and their rugged and powerful looking ‘mech’ robotic servants oppressing and “enslaving millions” to enforce their ideology. The narrator says any resistance and rebellions are “crushed beneath an iron boot”. This all happened because “they beat us to the bomb, no one knows how”, which suggests that the story may reveal some sci-fi twist, to explain how the future was changed. The narration of the intro concludes with “They think the war is over, but they’re dead wrong” - B.J. Blazkowicz can stand up to them (after he wakes up from his 14 year coma). Following this revelation we move on to actual in-game rendered footage in which many bullets are spent. Wolfenstein: The New Order is due for release in Q4 2013 on Windows PCs, Xbox 360, PlayStation 3 and the next-generation consoles. It’s a single-player only FPS and you can read more about it and an interview with one of the developers from MachineGames over at the Polygon game news site. Loved RTCW and Wolfenstein 3D too, and I really like the concept… I hope it's good! Maybe it was just the poor quality of the trailer but the graphics seemed really poor and are very similar to fallout 3 style… hmm! Love the actual idea though so will be watching :).